The US Navy Tactical Oceanography Wide Area Network (TOWAN) is a data server dedicated to supplying the DOD and supporting contractors with environmental data for simulation, modeling and other analyses. The purpose of TOWAN is to provide rapid sub-setting and data extractions from existing databases, and to deliver the extracted data using a consistent and documented output format. It is not the intent of TOWAN to merge datasets or do any interpolation on the data extracted. 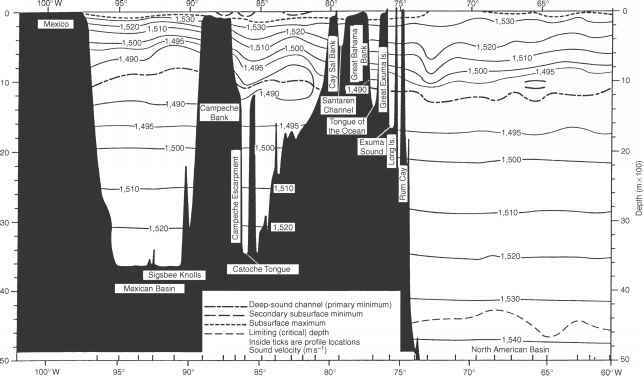 The contents of TOWAN are organized by the generic parameter groupings of ambient noise, bathymetry, geoacoustics, gravity, ice, oceanography, observational, physical parameters and reverberation.